When 8-year-old Syeda was unexpectedly diagnosed with Blood Cancer, her family started a fundraiser on Ketto and raised funds for her expensive treatment. Syeda is one of 80,000 campaigners whose cause has been funded on Ketto. I want to thank you (Ketto) for creating such an amazing platform which has the capability to help entrepreneurs like me to take their product to next level. Thank you for helping me & supporting me during the entire process right from the very first discussion regarding my idea till the last amount of payout got credited. The support from Ketto was excellent. We received guidance throughout the process from setting up the fundraiser, documentation, social media support and getting more coverage for our cause. Glad to have partnered with Ketto for this! I could raise Rs. 6.5 lakh to take the ‘Just For Kicks’ program to 100 girls in Dharwad. Ketto worked wonderfully as a platform. I used the tools to reach out to the donors & post updates. Our donors found the payment gateway safe & user-friendly. All in all, a great experience! My liver transplant was stuck because my family didn't have funds to afford it. It's only because I knocked on Ketto's door that I'm healthy today. A big thank you to each and every one who gave me money. I wouldn't be alive without you. It's the quickest, easiest way to gather a large amount of money through donations from supporters, which includes your family, relatives, friends, colleagues and potential well-wishers. It's the quickest, easiest and the most convenient way to gather a large amount of money through donations from a group of known supporters, which includes your family, relatives, friends, colleagues and your potential well-wishers. the project that you want to raise funds for. 8-year-old Syeda was unexpectedly diagnosed with Blood Cancer, her family urgently needed funds for the expensive treatment. 1. Need Money Falling short of funds required to achieve your goal, dream or need? Syeda's father started a fundraiser on Ketto by filling in the important details about her disease. 2. Start a fundraiser Don't let the word ‘details’ scare you. We just want to hear your story and let others hear the same. Syeda's family and friends shared the fundraiser link with their network of friends and family to get support from maximum well wishers. 3. Share Your Fundraiser Like Syeda's Family spread the word by sharing the fundraiser link with your social network. After active campaigning for 30 days, Syeda received donations worth Rs. 11,00,000+ from over 300 supporters. 4. Raise Funds and instant withdraw in your Bank account Withdraw the raised funds at any point and use it for your cause. Keep the raised amount You will receive all the raised amount after the transactional, processing fee. Click here to compare crowdfunding websites in India. *Ketto Success Fee would be calculated on actual amount collected and not goal amount. And, your fundraiser goes Live! Can I raise funds for a friend as well? Does the raised amount reach the individual directly? With Ketto, the money you collect goes directly to the bank account associated with your fundraising page. Raising money for yourself or anyone has never been easier. Your Ketto fundraiser features the very best in secure payment encryption technology. Not only are your donors' online payments safe, your money is stored securely until you're ready to request a withdrawal via electronic bank transfer. What if I don't reach my goal? No problem. You will still receive the raised amount after the transactional processing fee. I have more questions, who do I write to? 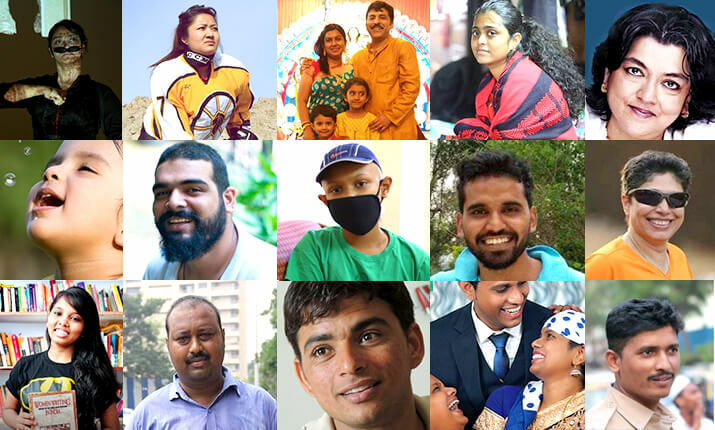 You can write to info@ketto.org Know someone who needs funds for medical treatment urgently? Help them out by sharing this information with them. Get a demo of all fundraising features Connect with an expert for a one-on-one demonstration of how Ketto can help grow your fundraising. Would you like to discuss something with Team Ketto? Drop in your contact details so we can get in touch with you.